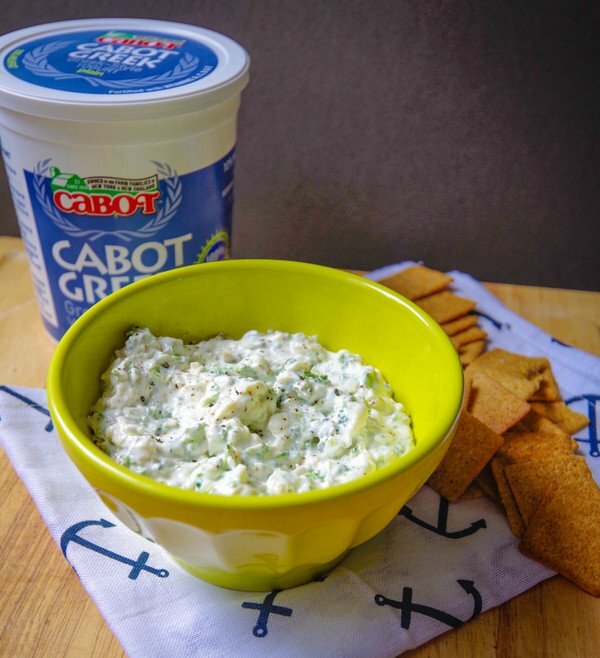 Slather this creamy Greek-Yogurt dip on a baked spud, smear it on a beefy burger, or scoop it up with crackers. On the other hand, spooning it on scrambled eggs or tucking it into an omelet are good ideas too. Looking for more ways to substitute with Greek Yogurt? Then be sure to check out our Greek Yogurt Substitution Guide and learn about all the great benefits you receive simply by eating Greek Yogurt. BRING small saucepan of water to boil; add broccoli and garlic and cook for 3 minutes or until broccoli is tender. DRAIN in strainer, pressing out excess water. Dump into small bowl and add cheese; mash together until cheese is melted. STIR in yogurt and season with salt and pepper. Use right away or cover and refrigerate for up to 3 days.